Whether you fit your CCTV Installations in Wrexham or anywhere else, they are a cost effective way of reducing crime. By monitoring and recording activity of customers, staff, property and stock. Having a new CCTV System installed works for the vast majority of clients. A wealth of statistics point to major reductions in the amount of crime being committed where CCTV cameras are installed. Our systems have an advanced remote access facility built-in. Therefore in order to use it is, you will need an existing broadband connection and router. CCTV has been a common fixture in shops, pubs, car parks and other public places for years due to rising crime. Now, thanks to easier installation and falling prices, it’s becoming an increasingly popular choice for security-conscious homeowners. When you use this feature you can fully control your system from any remote PC, Smartphone or tablet. In built email Sender. The unit detects motion and it send you and email. It’s the perfect security and surveillance solution for any home or business. HikVision are market leaders in DVR/NVR and IP CCTV and have an excellent range of embedded solutions. The Hikvision product line ranges from Cameras, DVRs, NVRs to video management software. Hikvision are the largest digital surveillance manufacturer, with a Research & Development team of over 2000 people. 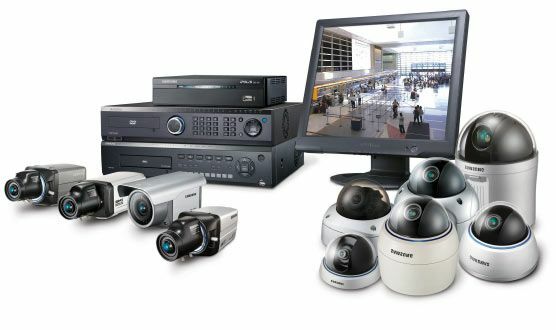 Working in first class facilities to create the latest cutting-edge products for the market, Hikvision are able to offer the very best solutions to the security market. We have installed many HikVision systems over the years, they provide a faultless long lasting service for the client, not to mention deter crime 24/7 throughout the year.